This Wool Cape Tutorial is very simple and easy to do. It's also very versatile as it's reversible. Time spent: 1 hour or less of measuring and cutting and about 3 hours of hand stitching. Tutorial by Kristin at Sew mama sew. I would pick the beautiful Mill Creek Fabric to make the cape! 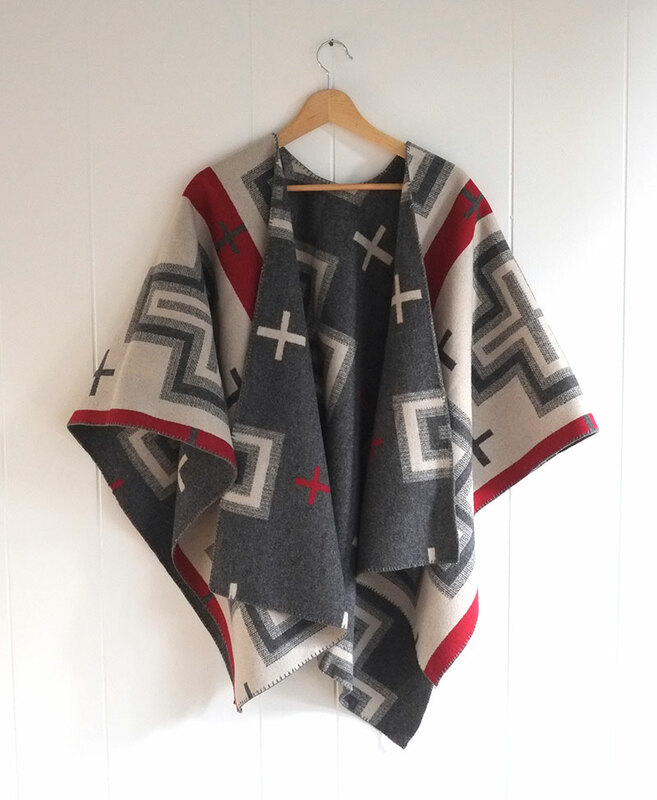 What a wonderful use of the beautiful Pendleton woolens. Nice job on the knock-off! I can see that being worn outdoors or cuddling up in it indoors. So many beautiful fabrics on Pendleton’s site! I think I like the Rancho Arroyo the best. I like the mix of black and shades of brown and beige, with just a hint of blue. Gorgeous!